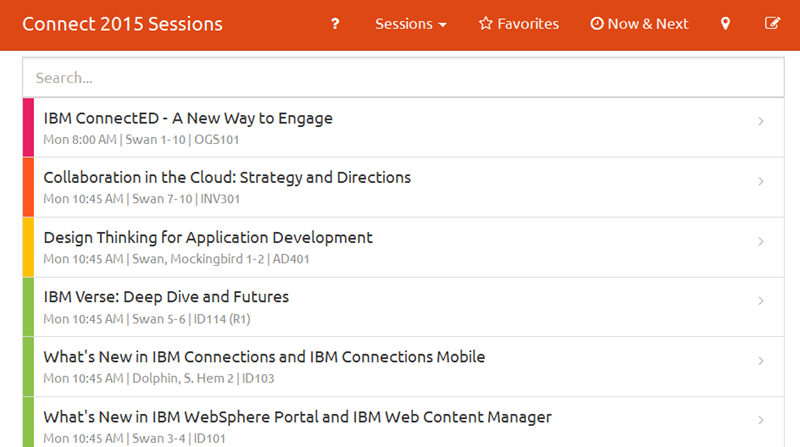 In the last 12 months I have twice presented at MWLUG 2014 and ConnectED 2015 (with Mark Leusink) on how to run a Domino/Angular.js application in IBM Connections and SharePoint. 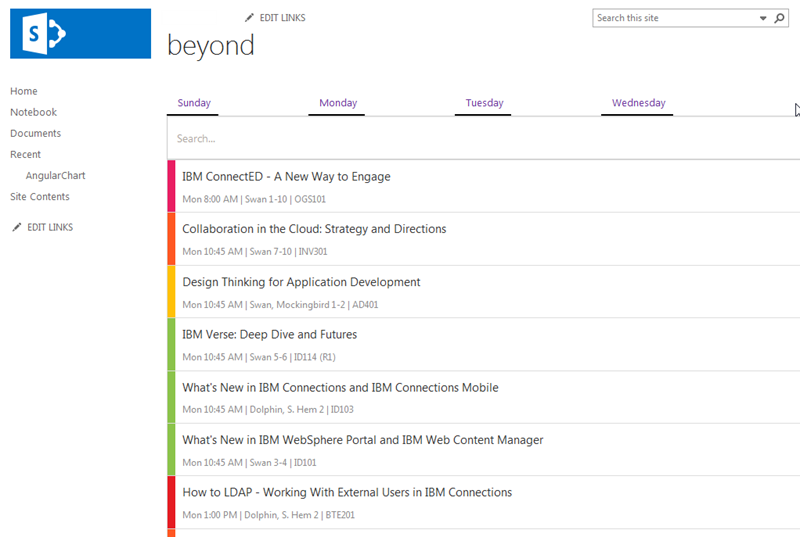 One of the hurdles to doing that was to figure out how to integrate bootstrap with the OneUI layout of Connections and MS SharePoint built in style. This was the original http://beyondtheeveryday.com application which Mark Leusink built (for ConnectED) based on Bootstrap CSS. My job was to make it run anywhere – in this example IBM Connections. The same process described here is also used to make the application look nice in SharePoint. However – the functionality was not the immediate issue – the look and feel was. 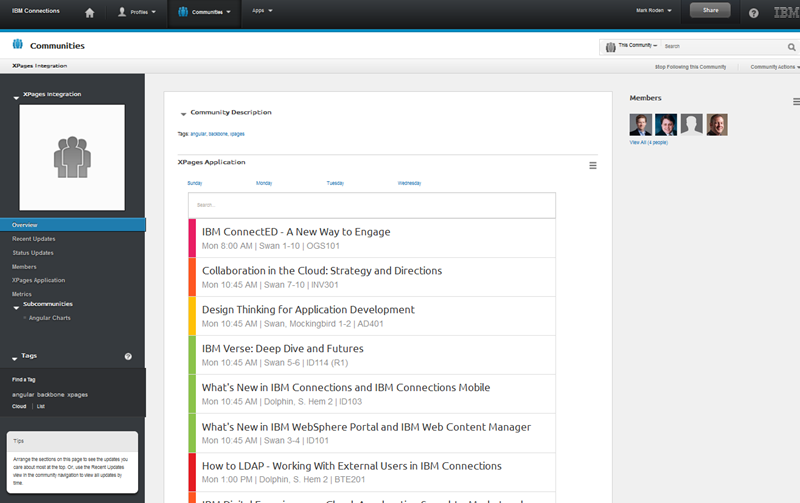 IBM Connections uses the IBM OneUI Stylesheet for look and feel. Both OneUI and Bootstrap set default fonts and sizes on every page element and when mixed together in the wild things go badly wrong. As you can see from the image below – the bootstrap is fine – but the addition of another CSS which affects HTML and Body messes with the existing OneUI style. So the quick and dirty solution to me was to stop bootstrap from affecting everything else in the BODY of the connections page. In this case to maintain look and feel with OneUI – remove everything affecting the OneUI look. I took an un-minified version of Bootstrap and removed the first 1400(ish) lines of code – down to the first media query. 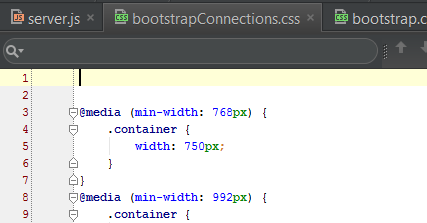 This removed default font size etc for every default HTML tag. Do not do this in production boys and girls – use a properly modified bootstrap file which only contains the CSS you need! Depending on the complexity of your application you may have to do other modifications to get your application looking good. The process is identical for adding the application into SharePoint, although in that case I used an embeded code widget within a SharePoint page to insert my HTML/SCRIPT. 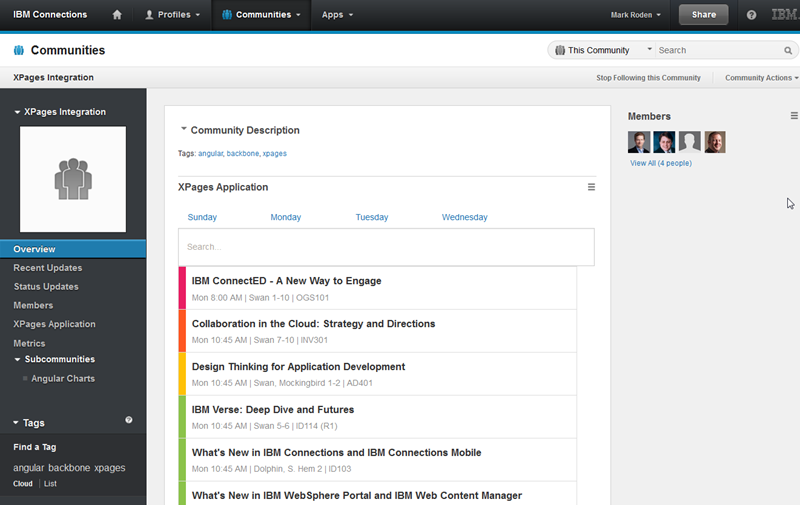 I noticed a couple of days ago that the “face” of the IBM Social Business Toolkit “playground” on the greenhouse site has undergone a face lift. 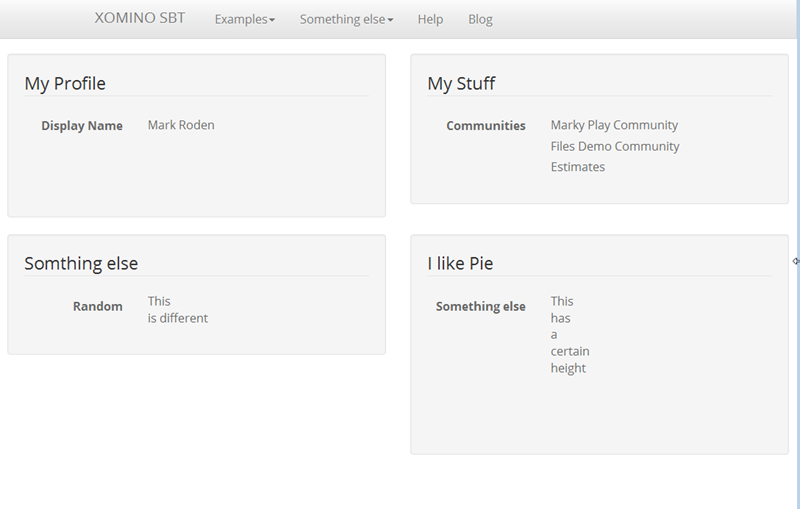 Not an improvement in this developers opinion because now I have no reference point as to the section I am looking at. Not a problem if you clicked in there – but if you bookmarked the URL you are if for a world of confusion. An example of not considering the User Experience. When you are modifying on premises Connections there is an API interface provided and described by IBM for integration of the Profiles Business Card. I could not find this piece of code however within Smartcloud. The Playground API also does not provide an example of profile vcard within Smartcloud. I guess it must be in there somewhere, but I decided to make my own. If one is available, please point me at it……. where userId is the id of the user you wish to see the information from. In my case a JSON object called entry is returned with many options. I already did this on my servers last week and didn’t think about blogging it. But I saw the post on IBM HTTP server and figured I would anyway. Sir Terry, I have read/own more of your books than all other authors combined. You made a very significant impact on my younger self and you will always be remembered. As I start to learn Java I am going to document some of the shortcuts I find and / or people show me (more likely)- very helpful. 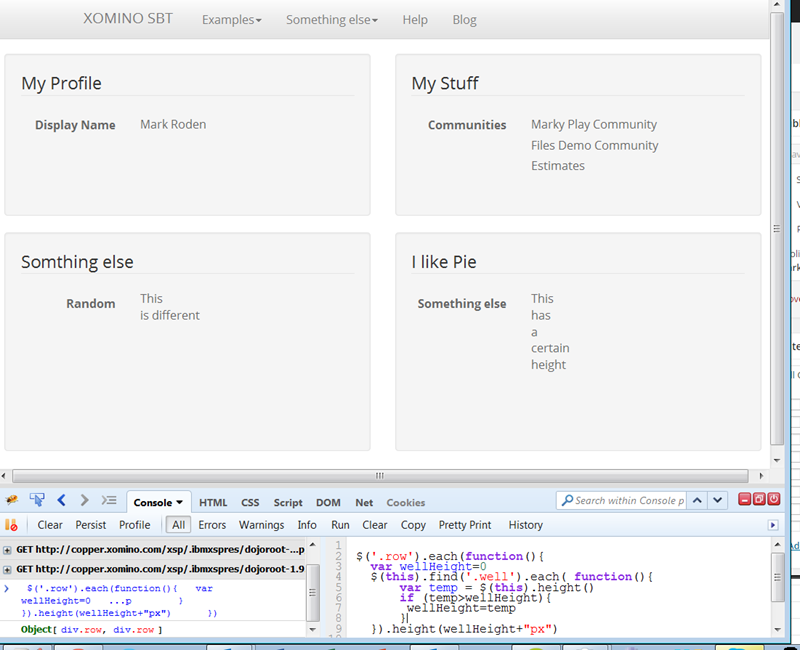 In this article I will describe how to display a list of “My Communities” in an XPage. 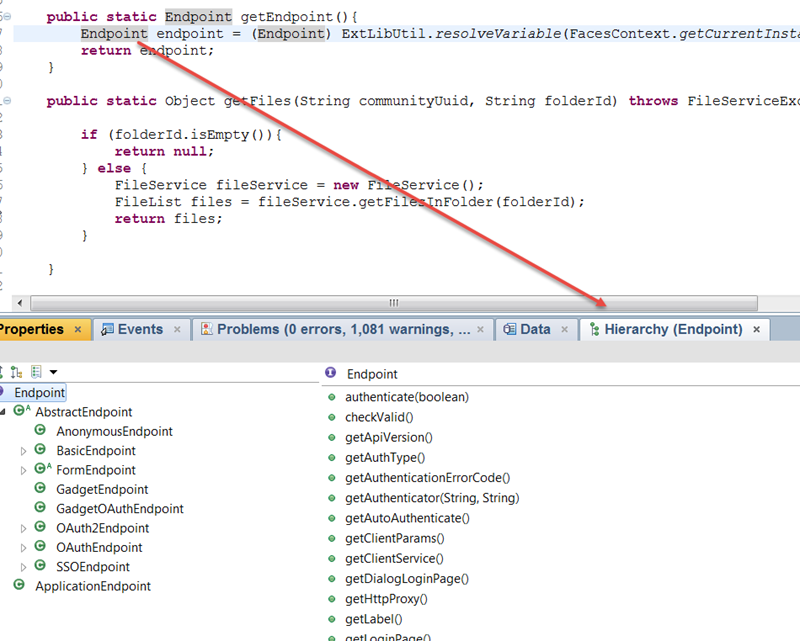 To do this I will have to create an ArrayList of communities and use a repeat control in an XPage to display them. As I showed in this previous blog post there were some interesting issues in setting up the managed beans for getting the communities out of connections/smartcloud. But in quick review this is the code for getting my communities. What is interesting is that the svc.getMyCommunities() returns a “Collection” and the code assist not only told me this, but it changed the return of the method “Collection” and added the import java.util.Collection. 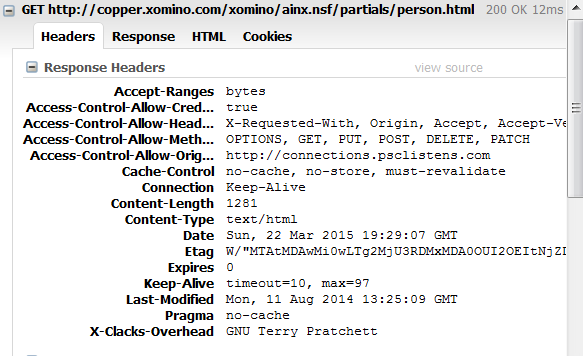 So that is all well and good – but then how do I get that only my XPage? Well I actually used the JavaDoc !